Ephraim was founded as a Moravian religious community in 1853 making the Village of Ephraim’s cultural and historical heritage a blend of Moravian culture and Norwegian ethnic heritage. There are many historic homes and buildings in the Village that are over a century old and still in use today, these include: the Moravian Church built in 1858, the Pioneer Schoolhouse built in 1880, the Anderson Store built in 1858 and warehouse, the Anderson Barn built in 1880 and eight homes in the Village. Many of the Village’s buildings are on the National Register of Historic Places. Fyr Bal, a Scandanavian festival is the village’s main festival and held in mid-June. The Fry Bal is intended to burn away the witches of winter. Bonfires burn along the shoreline as residents and visitors gather to celebrate the beginning of summer. In addition to its interesting historic buildings Ephraim offers a shorefront packed with activity. A fantastic bathing beach, a marina, sailing lessons at the Ephraim Yacht Club and para-sailing to name a few. A regenerating wetland, almost destroyed by a developer, was purchased by the Village and has been turned into a Wetland Preserve. These along with a cache of year-round and seasonal shops and restaurants make Ephraim a great place to live and vacation. An interesting and unwritten law dictates that all buildings within the Village must be white or carry no paint at all. This unwritten agreement dates back to the establishment of the Moravian community. Outside the village you will find homes and business establishments of every size and color! No matter where you choose to live in Ephraim you will enjoy the strong sense of community, history and friendliness. One more intersting fact about Ephraim, since its founding, the village has prohibited alcohol sales or manufacture in Ephraim. 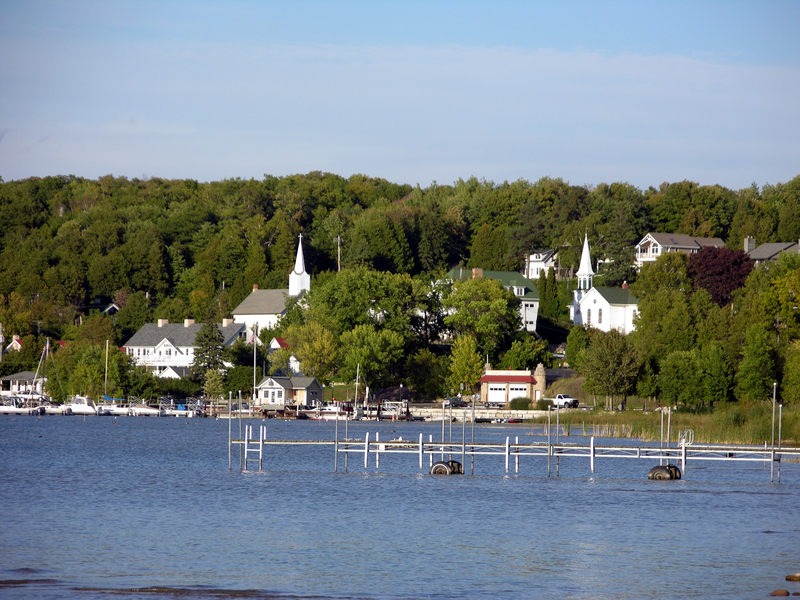 Ephraim is currently the only dry municipalityin the State of Wisconsin. Referenda in 1934 and 1992 proposing to allow the sale of liquor within the village failed. In 1934 the majority was 59% and in 1992 the majority was 74%. Picturesque Ephraim is dotted with homes carefully preserving the rich heritage. The shoreline is very accessible with a beach, jet ski, kayak, paddle board and pontoon boat rentals.